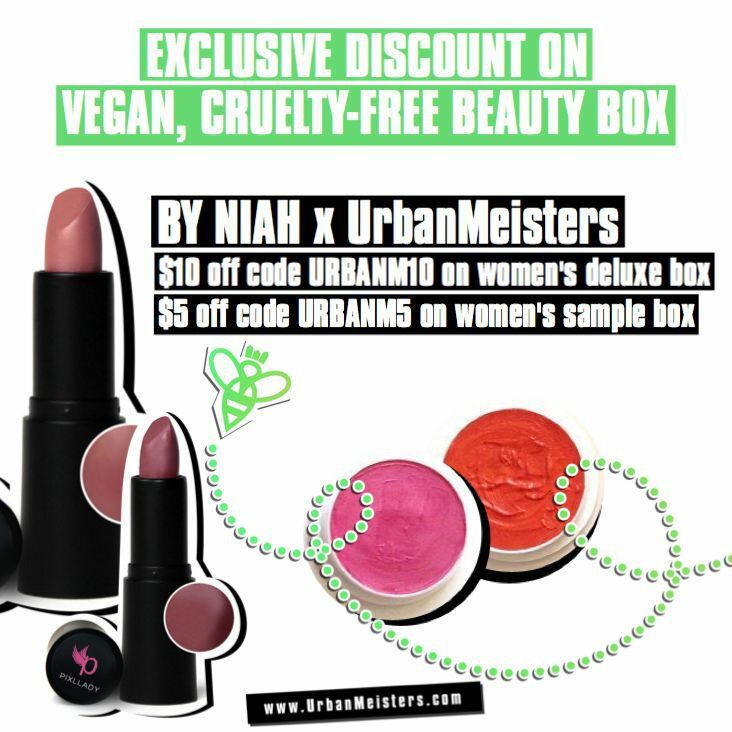 Vegan, Cruelty-free & Natural beauty subscription box by NIAH! When consumers see the words “vegan and cruelty-free” on a product, there is a general assumption that it’s “good for you.” Unfortunately, this isn’t always true. Consumers are becoming more knowledgeable about how to detect harmful and irritating ingredients in their beauty and skincare products. With the help of companies and organizations such as EWG (Environmental Working Group), Think Dirty App, PETA and Leaping Bunny, we can shop with a certain level of confidence. There is another layer to this movement. It is growing rapidly with name brands such as 100% Pure, Mahalo Skin Care, Pacifica, Au Naturale Cosmetics, and Josh Rosebrook to name a few. These companies take vegan and cruelty-free beauty and skincare to a whole new level by eliminating synthetic chemicals, fragrances, and artificial dyes making their products all-natural. The vegan, cruelty-free, and all-natural movement might still be in its infancy but its popularity is growing rapidly. NIAH box was created to help vegans find beauty and skincare products that are not only cruelty-free but all-natural. It’s important to understand the difference between vegan and cruelty-free. Vegan products are “products that have been manufactured without animal by-products or animal-derived ingredients.” Cruelty-free products are “products that have been manufactured by methods that do not include testing or experimenting on animals.” Finally, natural beauty products are “products that have been manufactured using only ingredients that come from the earth, without the use of chemicals or synthetics.” (Augusta Falletta, 2015). Consumers that want to make the switch to all-natural, vegan, and cruelty-free beauty and skincare need to look for all three indicators. Making the decision to eliminate harmful chemicals and synthetic ingredients also has a positive impact on the environment and our overall health. We explained to you in our conversation with Dr. Christina why we need to go green when it comes to skincare & makeup cosmetics four our own protection. The chemicals and synthetic ingredients used to formulate cosmetics have a large impact on global environmental pollution. These toxins end up in our oceans and rivers affecting marine wildlife and in some cases lead to species extinction. 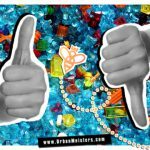 Ingredients such as microbeads in our shower gels contain very tiny pieces of plastic made from polyethylene. Many companies use them in bath and body products and market the benefits of skin exfoliation. One bottle of shower gel contains the same amount of plastic as a water bottle (Emily Lyons, 2016). The use of microbeads in cosmetic formulations has for the most part been banned. Eco-conscious consumers have found alternatives to synthetic exfoliation methods including using loofahs and coffee and sugar scrubs. The use of harmful preservatives including parabens also impacts our environment. These chemicals end up in our oceans and rivers affecting marine wildlife. The use of these harmful preservatives could be minimized on a global level if big name beauty manufactures would stop using so many cheap fillers (Augusta Falletta, 2015). The biggest cultrip is water. Once you add water to a formulation, you must use a strong preservative system to keep bacteria at bay. Our shampoo, conditioner, body wash, and face wash are the top culprits for preservative systems. Natural beauty manufacturers are using less abrasive preservative systems such as leucidal liquid radish root or rosemary extract. Our toiletry products are not meant to last 5-10 years. Using a combination of all-natural preservative systems with essential oils prolongs the shelf life long enough. In addition, using less fillers in our skincare makes these products more effective. Instead of having a shampoo or conditioner that is 50% or more water, it contains all-natural ingredients that are beneficial for your scalp and hair. Ingredients such as apple cider vinegar, natural oils, and natural cleansers. These chemicals and synthetic ingredients also have negative effects on our health. Chemicals like Titanium dioxide (TiO2), Parabens and Triclosan found commonly in just about any make-up and skin care cosmetics – from skin tints to sunscreens – have a series of negative impacts. In water for example TiO2 stops phytoplankton from growing which produces roughly two-thirds of the Earth’s atmospheric oxygen. Parabens are responsible for killing off corals and are supposed to be hormone disruptors and widely accused as one of the causes of breast cancer. The average person uses nine personal care products per day and these products on average contain 126 unique ingredients. Some culprits include: phthalates, preservatives, and fragrance. Phthalates work as softeners in personal care products. Many companies use synthetic fragrances because they are cheaper and help mask the smell of chemical ingredients. In the US, the Environmental Working Group (EWG) has done a terrific job of creating a database for consumers to rate their personal care products. Unfortunately, it’s research is limited because of the lack of FDA (Federal Drug Administration) rules and regulations on cosmetic ingredients. The best course of action for the consumer is to steer clear of personal care products containing synthetic chemicals, preservatives, and fragrance. Stick with products that contain ingredients that you can pronounce and are made from mother nature. Phthalates, parabens, and fragrance do not remain on the surface of our skin. Phthalates enter our bloodstream and have serious effects on pregnant women including damage to the reproductive organs causing abnormalities in infants. Ingredients: Aqua / Water, Cyclopentasiloxane, C12-15 Alkyl Benzoate, Glycerin, PEG-10 Dimethicone, Methyl Methacrylate Crosspolymer, Butylene Glycol, Dimethicone, Dimethicone/PEG-10/15 Crosspolymer, Phenoxyethanol, Acrylates/Dimethicone Copolymer, Lecithin, Magnesium Sulfate, Nylon-12, Boron Nitride, Disodium Stearoyl Glutamate, Caprylyl Glycol, Lauroyl Lysine, Tocopheryl Acetate, Hexylene Glycol, Aluminum Hydroxide, Ascorbyl Glucoside, Dipropylene Glycol, Sodium Citrate, Steareth-20, Sodium Hyaluronate, Tocopherol, Chlorhexidine Digluconate, N-Hydroxysuccinimide, Potassium Sorbate, Palmitoyl Tripeptide-1, Chrysin, Palmitoyl Tetrapeptide-7. Without examining every ingredient, let’s look at the overall picture. Water is the #1 ingredient. The FDA requires cosmetic labeling to put the ingredients in order of concentration level. This product is going to require a strong preservative system to prevent bacteria and mold. Phenoxyethanol is one of the preservative systems used in this product. It’s very irritating for sensitive skin. Read more about it here. The sheer number of chemical ingredients. 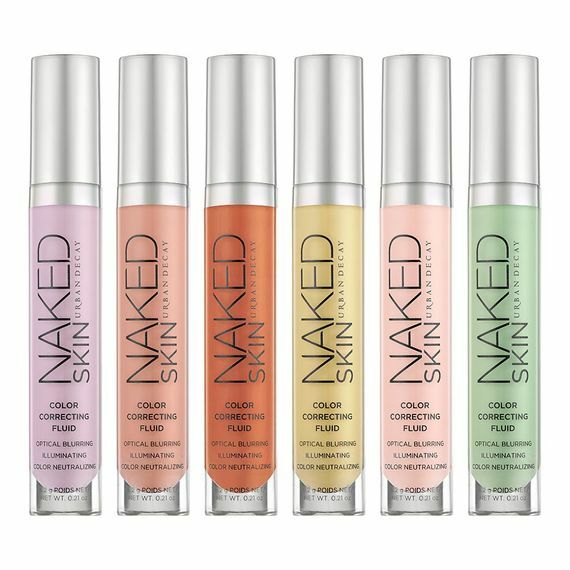 This product contains over 20 chemical ingredients for a simple color correcting liquid. 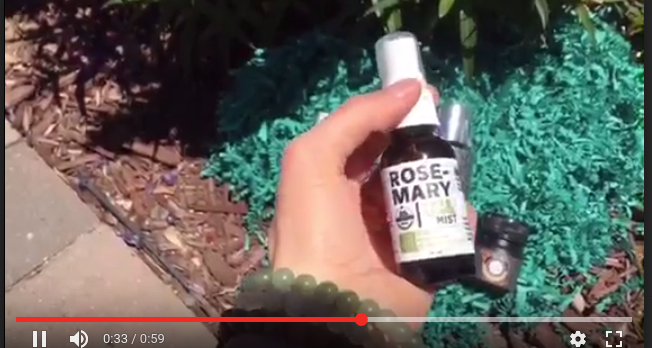 Let’s take a look at an all-natural alternative to the Naked Skin Color Correcting Fluid. 100% Pure Fruit Pigmented Brightening Concealer – Corrector. There is no water in the product. Instead, it contains natural carrier oils, aloe vera leaf juice, and essential oils. This product does not contain any synthetic ingredients or harsh preservative systems. 100% Pure uses a combination of fruit extracts and essential oils to keep the product from going rancid. This particular product contains several ingredients. However, they are all made from mother nature. NIAH Box launched in October of 2016. Jennifer Cerf, the owner came up with the idea after spending three years or so on Etsy selling her line of all-natural cosmetics called JenJoi Cosmetics. Her sales were not so great and she couldn’t believe how many companies like hers weren’t getting noticed by consumers looking for vegan, cruelty-free, and all-natural cosmetics. The company name, NIAH stands for Needle In A Haystack. There a so many options for vegan cosmetics, NIAH takes the time to research and curate products from independent beauty brands that offer vegan, cruelty-free, and all-natural products. Customers appreciate the variety and the ability to hand select their products from a beautifully curated list each month. Jennifer saw an opportunity to provide a monthly beauty box that was not only vegan, cruelty-free, and all-natural but also helped her customers find the products they are actually looking to purchase. When creating 12 months worth of themes, Jennifer makes sure to cover all the bases: skincare, makeup, perfume, personal hygiene (tampons, toothpaste, mouthwash, shaving cream, ect. ), healthy lifestyle (vegan food options), and even home products (laundry detergent, all purpose cleaners, dish soap, ect.). In 2018, NIAH will launch a quarterly lifestyle subscription box offering a well-rounded selection of vegan and cruelty-free fashion, health and wellness, skincare, and beauty options. What’s in a NIAH beauty box? Women’s Sample Box ($25/month + free shipping and handling in USA) – Includes 1-2 full size and 3-4 sample size products. Women’s Deluxe Box ($45/month + $7 shipping and handling in USA) – Includes 3-4 full size products, 2-3 sample sizes, and a vegan treat. Men’s Sample Box ($25/month + free shipping and handling in USA) Includes 1-2 full size and 3-4 sample size products. Each women’s box has a monthly theme with a mixture of makeup and skincare. The men’s sample box includes a mixture of skincare, body care, and all-natural cologne. Each customer completes a comprehensive survey when they sign up. They can also include a selfie which helps NIAH select skin tone products like foundation, concealer, and color corrector. NIAH also sends each customer a form every month to hand select their full size products. They offer a variety of options including different shades of eyeshadow, skincare for dry/normal and oily/combo skin, and even create custom fragrances for customers with all-natural essential oil perfume roll-ons. Check out their video below! There are hundreds of subscription boxes but only a dozen or so that feature strictly vegan, cruelty-free, and all-natural products. 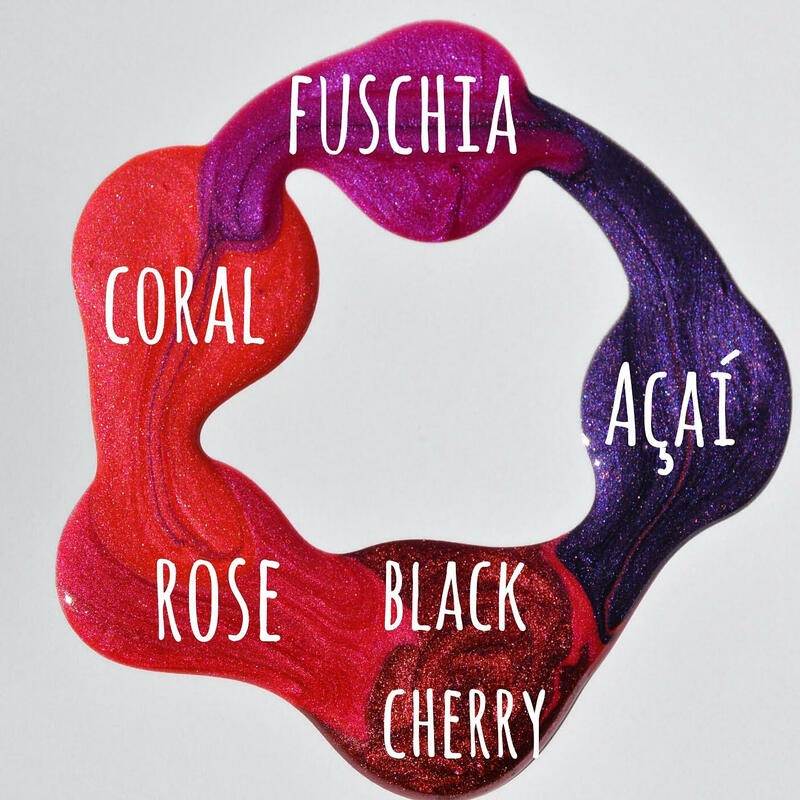 NIAH works with brands LipLuxe Lipsticks that use Organic Shea Butter, Sweet Almond Oil, Coconut Oil and are100% Vegan & Cruelty Free, Carmine Free, Paraben Free, Free from FD&C Dyes, Palm & Mineral Oil Free, Talc Free and Silicone Free! For more on some of the brands they work with, look them up here. NIAH is offering special discount for all our readers with no expiration date! Use the codes below to claim your discount and order your NIAH box today!